1 . 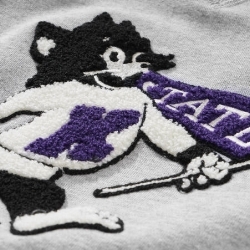 Molly (Sr. Project Manager) — My favorite fall accessory is anything I can wear on a Saturday to cheer on the Wildcats! This sweatshirt is one of my favorites. It’s perfectly vintage and cozy. It features one of my favorite ways to decorate a fall garment; a chenille patch! 2 . Chelsea (Jr. Project Manager) — Spyder Ladies’ Transport Softshell Jacket (available in Frontier/Polar/Black & Red) Not only is Spyder a top of the line Boulder, CO based company, this jacket doesn’t cut corners. There’s something about wearing it that just feels like luxury; whether it’s on the slopes or in the mountains. The red detailing on the red and black version is so clean and fierce. 3 . Shanna (Project Manager) — My favorite accessory for fall…I love the oversized style and chunky cable detailing that gives you a relaxed look. The wine/burgundy color goes with almost everything in my closet and my favorites are decorated with a clip label- nothing too flashy but still give a nod to my favorite companies. 4 . Alex (Graphic Designer) — I love how hats have seasons. 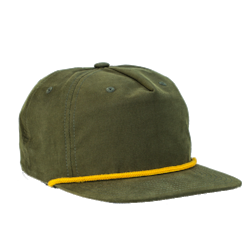 This fall I’m obsessing over this olive green and ocher grandpa hat. It makes me think of exploring in the mountains and hiking to alpine lakes (one of my absolute favorite things). I’d rock this hat year round, but gosh, it really gets me cozy for fall while still allowing me to feel the cool breeze in my hair! You can’t miss this one, y’all!